Recently, an Omani government aircraft transported representatives of the Huthi administration in Yemen from Sana’a to Muscat where they reportedly met with unnamed U.S. Government officials. It is said to have been at the request of the United States. Sources tell us that Iran may also have participated in the Muscat talks, although it is not clear whether or not this was in the presence of the Americans. The principal reason for these discussions was to explore ways to end the current fighting between Saudi Arabia and the Yemenis. It is believed that Oman endeavored to have representatives from both Saudi Arabia and the internationally recognized government in Riyadh attend these talks, as well, but that both of these parties had declined. 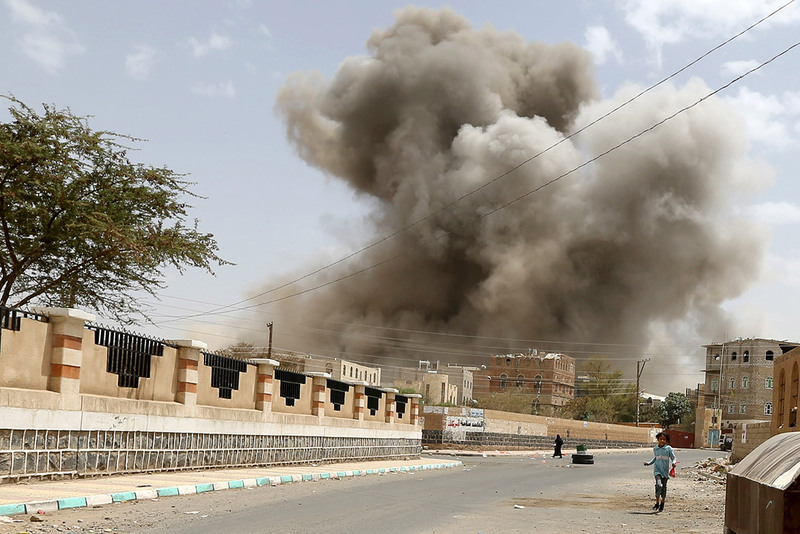 Oman and the U.S. are reportedly trying to find a face-saving way for the Saudis to cease their air campaign and blockade. However, intransigence on both sides is making progress on reaching this goal glacial. On a related note, UN special envoy to Yemen, Ismail Ould Cheikh Ahmed, is said to be continuing his efforts to set a new date for Yemeni political factions to meet in Geneva for peace talks. The previous talks were postponed at the request of President al-Hadi, apparently with strong Saudi backing. The Huthis have indicated their willingness to talk, although it is not known what preconditions either side is still insisting upon. Such preconditions to peace talks inevitably create delays and, to some extent, can lead to a standstill in the peace process entirely. They have often proven to be important obstacles, which in most cases can be difficult if not impossible to overcome. The other four have not been publicly identified. The U.S. has repeatedly called for their release. They are believed to have been heldin a prison, which has been the target of repeated Saudi Air strikes. 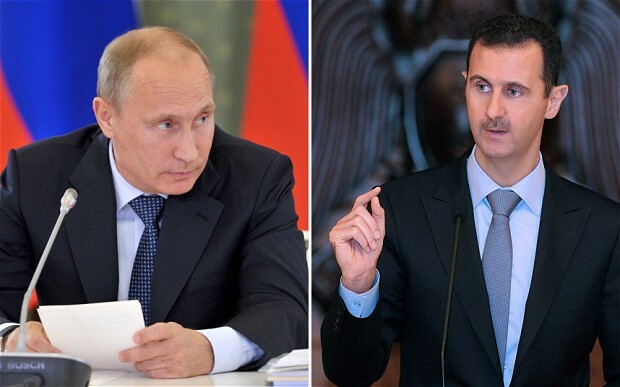 In November 2014, Russian President Vladimir Putin and Foreign Minister Sergei Lavrov held talks with Assad’s foreign minister, Walid al-Moualem, as part of Moscow’s renewed diplomatic push to restart peace talks on Syria. Less than a year later, in April 2015, the second “inter-Syrian consultative meeting” was held in Moscow which Lavrov referred to as “evidence of progress and shared achievement between all participants”. Overall, Russia believes it has played an important role by instigating and moderating what is referred to as the “Moscow Process”. The first “inter-Syrian consultative meeting” in Moscow took place in January 2015 and for the first time, representatives of the Government of the Syrian Arab Republic, plus various “approved” opposition groups and mutually acceptable elements of what the Russian convenors regarded as Syrian civil society, were invited to come to Moscow by the Foreign Ministry, sat at the same table and initiated peace talks. Most of the larger secular groups were excluded as being too divisive including Syria’s most powerful Kurdish group, the PYD; the opposition Baath Party (called the Iraqi Baath within Syria because many fled to Iraq when they split with Hafiz al Assad); and the secular nationalists like the United Nationals Democratic Alliance (UNDA). There was no goal set in any effort to formulate a joint political document, but a dozen principles (The Moscow principles) were formulated by the meeting’s moderator, Director of the Russian Academy of Sciences’ Institute of Oriental Studies, Vitaly Naumkin. These fairly anodyne guidelines reflected the best that could be achieved in regard to the participants common will to move forward. It was claimed they could be used “as a foundation for future talks which is crucial in order to uphold Syria’s sovereignty, integrity and independence and to fight terrorism and extremism”. However mostly the Moscow principles state the blindingly obvious like “Syria should have the Golan” or “We oppose terrorism”. Preservation of the sovereignty of the Syrian Arab Republic, its unity, independence and territorial integrity. Countering international terrorism in all its forms and manifestations and the consolidation of efforts in the fight against terrorists and extremists on Syrian soil. Resolution of the crisis in Syria by peaceful political methods on the basis of accord, based on the principles of the Geneva Communiqué of June 30, 2012. Determination of Syria’s future on the basis of the free and democratic expression of the will of the Syrian people. Unacceptability of outside interference in Syrian affairs. Ensuring the continuity of state institutions, including the army, the armed forces, and reforming them solely by legitimate means. Ensuring civic peace through full-fledged participation by all strata of the Syrian people in the country’s political and socio-economic life, ensuring the equality of all ethnic and religious groups of the population on a legislative and practical level. Rule of law and equality of all citizens before the law. Unacceptability of any foreign military presence on Syrian territory without the consent of the Syrian government. The need to end the occupation of the Golan Heights. Lifting sanctions on the Syrian people. As for the April consultative meeting, Foreign Minister Lavrov again affirmed that the key priority was “to consolidate all Syrian patriots and all democratic forces against this threat (terrorism), but in order to do so they must temporarily suspend all their conflicts and differences” which seemed wishful thinking at best. There was little or no outcome to this meeting other than the establishment of a Russian-proposed schedule for future talks. Russia ended with the lame statement that “The effort needs to come from within as only the Syrians have the ability to affect real change”. This week, a senior Russian diplomat informed the Next Century Foundation that a compromise between the government and the opposition was Russia’s primary objective. The diplomat told us that the Russian National Security Advisor will soon be arranging new meetings in order to address Syria’s current situation, and Bashar al-Assad is said to have been “very helpful throughout the entire process”. Additionally, our source claimed there were now no chemical weapons in Syria for which the destruction deadline was June 30, 2014. An announcement of agreement was made by the United States and Russia in September 2013 and the last declared chemical weapons were shipped out of Syria for destruction on June 23, 2014. In regard to ISIS, the NCF’s Russian source believes ISIS could eventually be the catalyst that pushes Russia and the United States to join forces in order to eradicate “such an unpredictable source of danger”. By way of a footnote, the Russian diplomat added that, the British Government merely wishes to discuss the possibility of a transitional government in Syria but that this would not be sufficient to placate international governments with an interest in the region. Meanwhile, current UN action is equally lame. In 2012, two rounds of talks were hosted in Geneva on this crisis, the first set a pattern by being held without the participation of the Iranian government, a crucial element in any peace talks, and led to the Geneva Communiqué, which put forward a plan of action for a peaceful Syrian-led transition based on the “Establishment of a transitional governing body with full executive powers that could include members of the government and opposition, and should be formed on the basis of mutual consent”. The second round was strongly criticized for being a mere “media show” run by Western countries that sided with the opposition. These talks ended with no positive outcome. The new UN Envoy for Syria, Staffan de Mistura, having failed in an attempt to create an enduring cease fire in Aleppo, announced on May 5th the beginning of new consultations on Syria with the intent to find viable solutions to the ongoing Syrian crisis but added that they are “neither a conference nor are they Geneva 3”. That being said, Russia says it is willing to continue the inter-Syrian consultations in Moscow and, if necessary, go along with the United Nations procedures in Geneva in order to find a solution to the crisis in Syria. Russia’s Permanent Representative to the United Nations in Geneva has said that the two processes will complement each other. Unfortunately, a very high price paid by the Syrian people each day for the international community’s failure to make a concerted effort to push forward on a peace process.